I have been treating runners injuries for over 15 year in my Manhattan Chiropractic practice. but as more and more patients told me how much they loved it,I decided to give it a try. I put on my Running shoes and stretched out and started slow. I live in Downtown NYC and some of the granite sidewalks are a little uneven, and BAM not even 2 minutes into it I sprained my right ankle. Of course I iced it right away for the first day or two. The next day in the office I had the Physical therapist use cold laser and I had a Chiropractic extremity adjustment of my right talus by a friend that practices in Midtown. I also had my associate use Kinesio tape using the fan method followed by stabilization applied up the outside of my leg. I think this protocol really helped me get functional pretty quick. 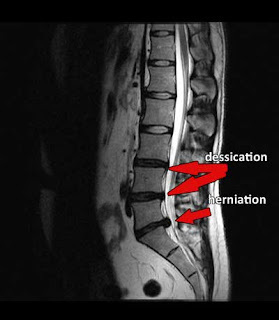 I will continue treatment with the Physical therapist and we will probally add the Graston technique by next week. I posted some information below about some traditional ways of treating a lateral ankle sprain. This information comes from Dr. Pribut's in Washington DC. Question I just twisted my ankle what immediate care should I give it? And by the way please tell me a bit more about ankle sprains. Amswer: Ankle sprains are more common in athletes participating in sports with side to side movement than that with straight ahead motion.Court sports such as Basketball, Tennis and Raquetball all create a fair share of ankle sprains. Running on level ground does not often result in an ankle sprain but cross country running, trail running and stepping in a pot hole (or uneven sidewalks) all could potentially lead to an ankle sprain. The most frequent ankle sprain is an inversion ankle sprain. This can injure the outer structures of the ankle. Anatomy: The ankle includes the Talus or ankle bone and the ankle mortise created by the lower Tibia (inner ankle bone, leg bone) and fibula (outer ankle, leg bone). There are three main outer ankle ligaments. The anterior talo-fibular ligament, the calcaneo-fibular ligament and the posterior talo-fibular ligament. Other structures in this area which your doctor will want to examine which can also be injured in an inversion injury include the peroneal tendons (which can sublux or move out of place), the calcaneo-cuboid ligament, and the base of the 5th metatarsal (which can break). The most common injury resulting from an inversion ankle injury is a partial tear of the anterior talo-fibular ligament. This ligament may also tear completely. The next most frequently injured ligament is the calcaneo-fibular ligament and least injured is the posterior talo-fibular ligament. On occasion the fibula itself may be fractured or the talar dome is injured. The grading of ankle sprains is officially done on an inadequate 3 point scale. Grade 1 is a mild "stretch" of the ligaments, Grade 3 is a complete tear of the ligament and Grade 2 is everything in between. In my office I use a subjective 10 point scale to finer grade the ligament injury for the benefit of the patient. The ice should be applied for about 15 minutes at a time and then off for about the same. Avoid damaging your skin with the chemical bags you can place in your freezer. Frozen corn or peas works just fine. If the ankle does not respond quickly to this treatment, it is probably best to visit your sports physician for an evaluation and treatment. This way you'll avoid having your sprain be worse than a break. Frequently for Grade 2 sprains, I'll recommend a plastic splint such as that made by Air Cast - Air Splint. This holds the ankle quiet as it heals and prevents most inversion and eversion. On occasion crutch walking for a few days (or longer) is needed. The first exercise I recommend after the ankle is starting to feel better is dorsiflexion - plantarflexion or just plain moving the ankle up and down. After more improvement small circles, painting the alphabet with your toes and other exercises can be done. Later still a theraband or other elastic band can be used to strengthen the muscles that help hold the ankle stable. Beam balance exercises and figure 8 running are also possible exercises later in recovery. I recommend avoiding forcing your ankle to move in pain too soon. I also recommend avoiding weight bearing or walking in pain early in the course of an ankle sprain. There is no reason to start testing your ankle until it has had time to heal. Slow and easy gets more gain than rushing into painful exercises. A Sports Podiatrist or Orthopedist and Physical Therapist can team together to make sure you have a speedy recovery. I often use a AirCast AirSport Ankle Brace in the early stages which gives decent immobilization, has a compression sleeve, internal stirrup splint, and a strip that everts and limits inversion of the ankle. My favorite follow up is a wobble board for proprioceptive training. It has been out for about 2 years now I think and is much better than the old white Aircast stirrup braces. Electrical stim can also help relax peroneal muscle group spasm, but I'm sure you are probably getting good benefit from the cold laser. I haven't had experience with the Graston technique, but if you've had positive experience give it a go. Some of the therapists here speak highly of it also. I do find the wobble board (20" Diameter) very helpful for regaining muscle strength and improving proprioception and try to have patients use it for at least 2 months after the injury. Add in the exercises sequentially and do for 30 seconds to 1 minute each exercise: First week - front-back; Second week add in - side-to-side; Third week - add in clockwise circles; Fourth week - add in counter-clockwise circles; Fifth week - add in single leg - front - back.